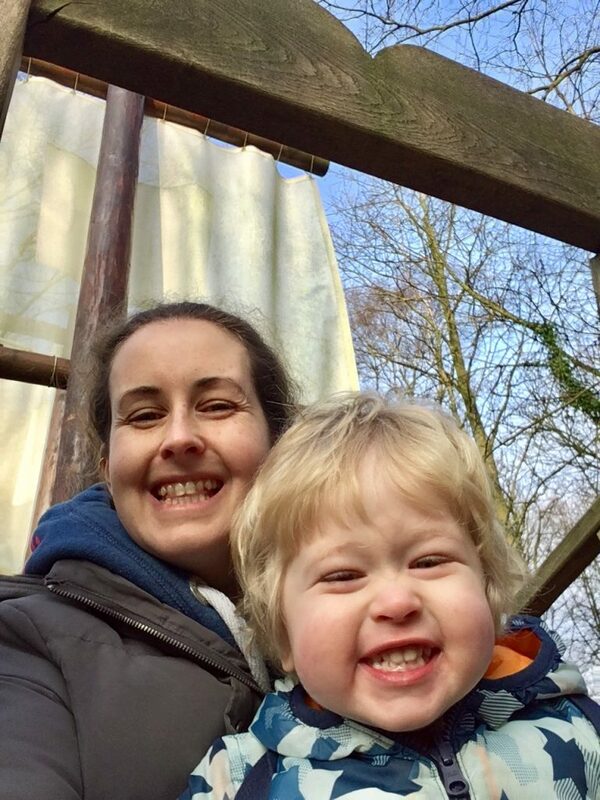 Last weekend Lucas and I went for a mooch around Samlesbury Hall near Preston. It is somewhere I used to drive past on a regular basis but I don’t think I have ever visited before. 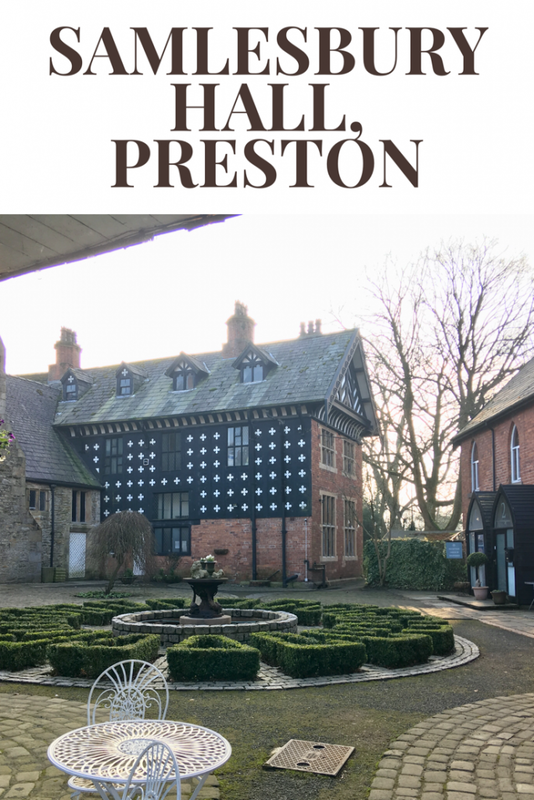 I made a list of free places to visit in Lancashire last year and as part of my things to do before I’m 40, I thought I should use this list to visit places in my local area more often. Samlesbury Hall and grounds are a registered charity known as the Samlesbury Hall Trust (Charity number 526052), whose aim is to preserve the Hall for the people of the area and visitors to Lancashire. Although it is a charity, the hall, grounds and parking is completely free. The hall is wonderful to look round from the Victorian kitchen, schoolroom & the 1950s bedroom, there is plenty to see, along with changing exhibitions in the Long Gallery. Unlike a lot of old stately homes you visit, everything isn’t behind a rope that you aren’t allowed to cross. 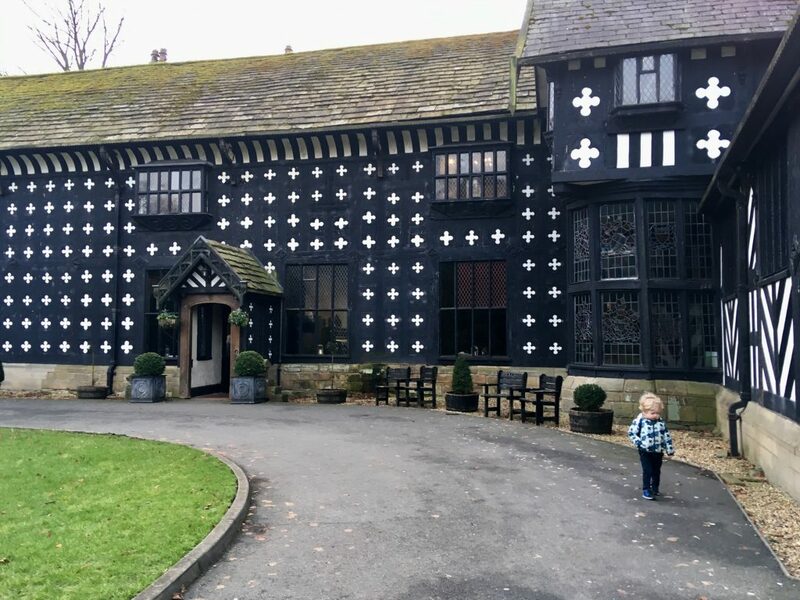 Samlesbury Hall encourage visitors to get up close to the belongings and this went down really well with the children we saw there as they could play with the toys in the bedroom and weren’t constantly being told not to touch which does take the fun away. It’s a great place to learn and play in a relaxed environment. They also do free guided tours on Sundays. As well as the hall to visit there is a restaurant, wafflery (we had waffles with chocolate dipping sauce which was immense), gift shop, animals, play area and a bee centre. Lucas absolutely loved the pirate play area. 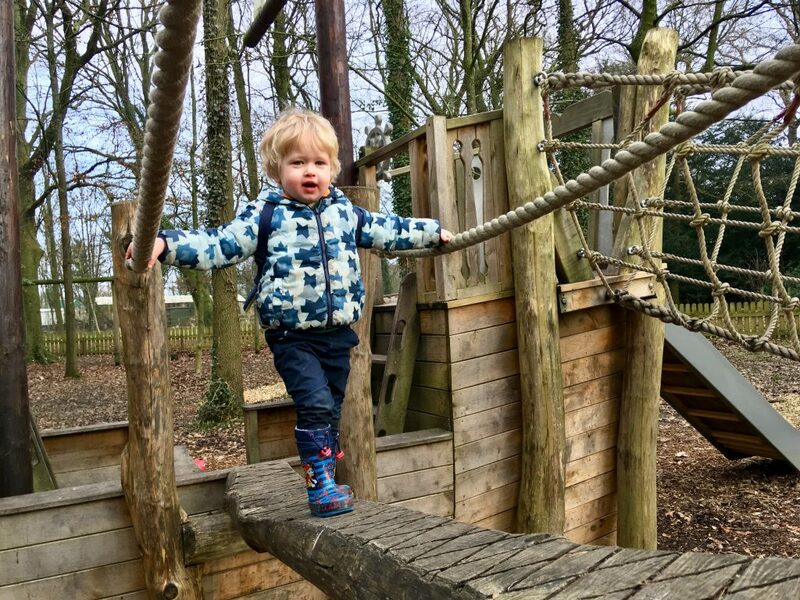 It was incredible to watch him in it too as he started off quite nervous saying ‘I can’t do it’ and by the time we had finished playing he was grinning and proudly saying ‘I can do it Mummy!’. He explored the climbing area and balanced using rope that made us both nervous but seeing his face when he had accomplished going from one side to another was fab. What a beautiful looking building and fun playground and I absolutely love that they have rescued those hens, lovely. It’s so rustic but pretty looking, you both look like you had so much fun and it really is emplified in your writing. I love the rescued hens and the bees. It all looks so great. What a fun looking place to get to explore. Hands up I LOVE they are rescuing ex battery hens and giving them a much nicer life! Samlesbury Hall sounds a great day out. I love that you can see the bees at work (and buy their honey too) and the wafflery sounds very delicious! What a stunning building. 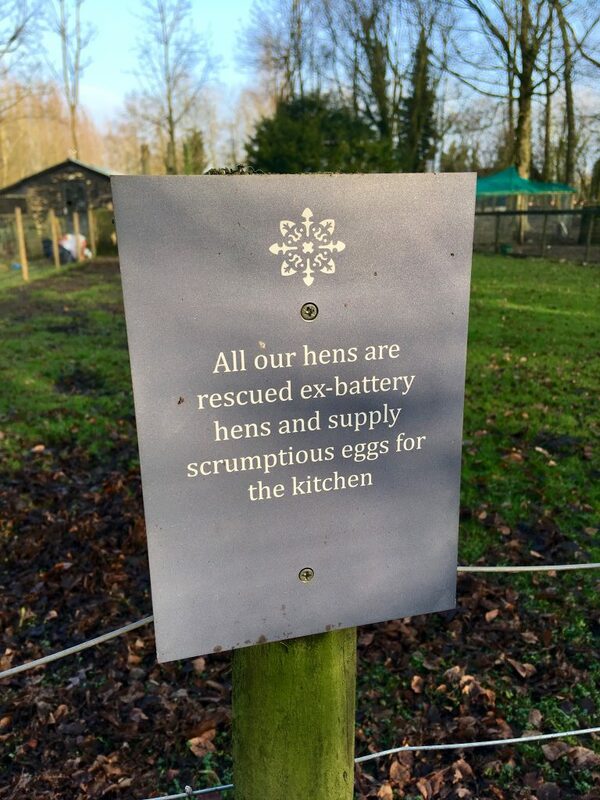 I love that they rescue the battery hens – that is something my mum does too and they always seem so happy to have freedom and care! I love that you got to learn more about the honey bees and purchased some honey fudge made from the bees. Also I love the sound of those waffles too. What an awesome place to take the kids to. I love that your little boy enjoyed the play place and learned a lot about bees and how they make honey. That was a good idea to give your son a fun learning experience, and you didn’t have to travel far! I’m ashamed to say I’ve never visited Samlesbury Hall & I really don’t live that far away. In fact I have a friend who lives in Samlesbury! My girls would love that boat play area. 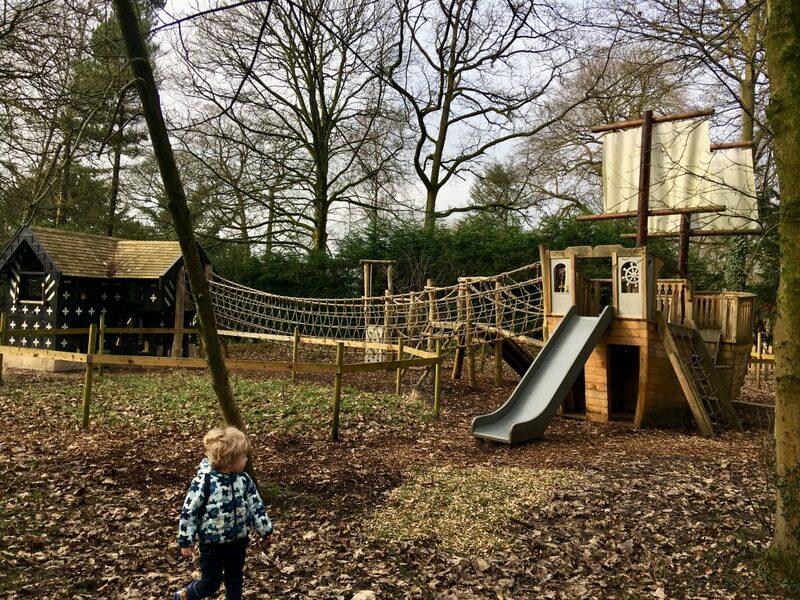 The pirate play area looks great and so fun for the children to climb and explore! 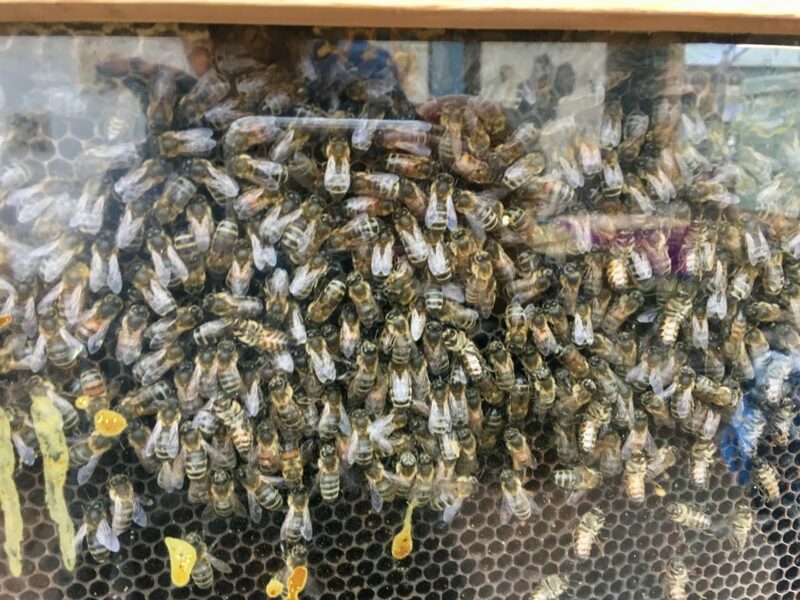 I love how they have honey bees on site as it’s so important to protect bees now. Sounds like a lovey day out. Ooh, I am going to have to look at your list of free places to visit in Lancashire. This hall looks beautiful too. Looks like a lovely place to visit with your family. I’m sure everyone will enjoy. 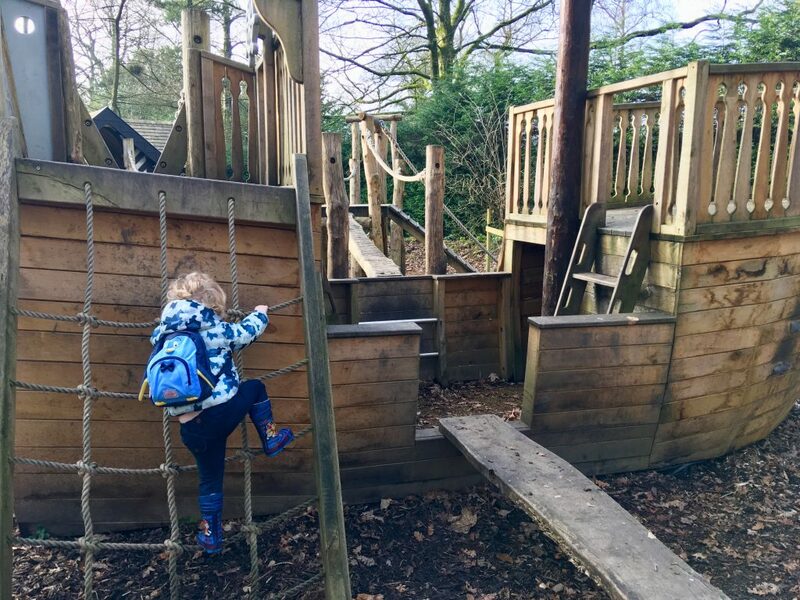 Samlesbury Hall sounds like a very child friendly place to visit and spend a nice day with your little one. The rescued chicken and the bees are great ways to learn about the environment and the animal world. What a wonderful looking place to visit! I cant get over the fact that Samlesbury Hall is free, even the parking is too! This would just encourage me to visit even more. I love places that showcase past times, and I think the Victorian classroom must be really interesting to see.